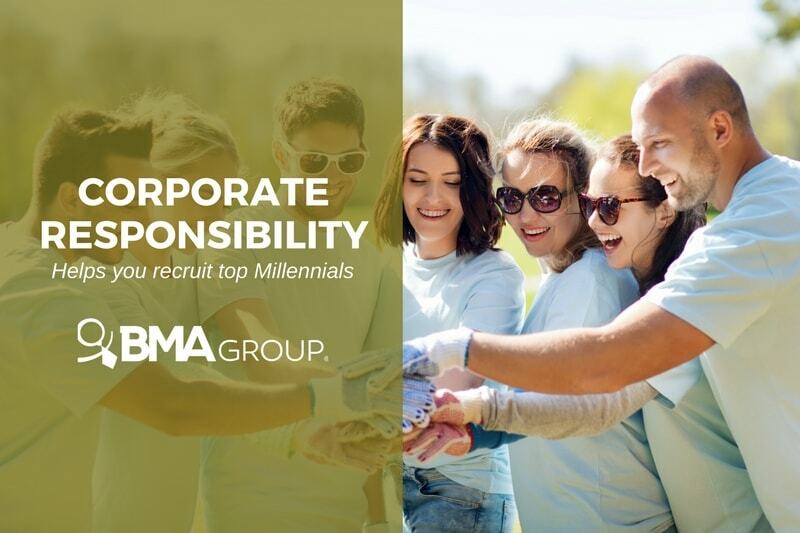 Social responsibility and a strong company culture might be the ideal combination to attract top talent, particularly Millennials. Corporate Social Responsibility, or CSR programs, is the group of initiatives a company implements to improve employees’ lives and contribute to environmental sustainability. Taking time to design your company’s CSR program will attract more top talent to your company. Corporate culture, on the other hand, is about the company’s core values. These values are what the business is based on. In addition, they set the tone as to what kind of employees would work best under your leadership. Take Millennials, for instance. This generation of workers is optimistic, skillful and upbeat. They are dedicated to work. However, they are now more inclined to work at socially responsible companies. They want to work at organizations associated with good causes or non-profits. Part of their career goals is feeling they are giving back to society. Millennials want jobs that are aligned with their views. You should also want to recruit candidates who align with your values. Your organization and its employees, current and future, should share the same values. This creates a strong company culture. Top Millennials seek to work for an organization with a strong company culture. They want to feel comfortable in their workspace, not only in the physical space but also psychologically. When everyone’s values are aligned, Millennials remain engaged and productive. The better they feel, the better their performance. More productivity means increased revenue. In addition to developing a CSR program, you should encourage your employees to get involved. If your company hosts or sponsors an environmental sustainability event, ask your employees to participate. Ask for their ideas to plan the activity. They work with you because you are socially responsible, so make them a part of the process. Millennials are a skeptical bunch. So, good intentions can potentially turn into something negative. To avoid this, disclose all information possible about your CSR initiatives. Especially, be honest and clear about your reasons to get behind a certain nonprofit and anything you stand to gain from supporting them, if anything at all. Don’t do random events and label them as environmental sustainability or employee wellness just for the sake of doing CSR. Have a purpose. Your organization has some core values. So, make sure your CSR program is aligned to those values. Associate and collaborate with nonprofit organizations or entities with similar values as yours. Support them in the best way possible. Having a good CSR program makes your business different from others. In fact, it gives you a competitive edge over other organizations. Demonstrating what you do in your community will also help you build a reputation that reflects your company values. This creates the perfect standard to attract Millennials to your workplace. Remember, having a CSR program is not enough. Encourage employees to get involved. Make them part of the process. Collaborate. Communicate your efforts and strive. Top Millennials will find their way to you. LEARN HOW TO KEEP YOUR STAFF INVOLVED, ENTHUSIASTIC AND COMMITTED AT WORK WITH THIS AWESOME SLIDESHARE DECK,“HOW TO ENGAGE EMPLOYEES AND KEEP THEM HAPPY” FOR QUICK REFERENCE AND EASY SHARING!